Florida law prohibits anyone from resisting a law enforcement officer with or without violence. There are different penalties to the crime depending on if violence was used or not. This crime happens when a person resists an officer. People do this for many reasons; one being the individual thinks that if they leave the location, the problems will go away. There are two types of crimes of resisting an officer in Florida: (1) resisting without violence and (2) resisting with violence. Both normally involve some type of physical type of conduct on the part of the defendant. One interesting thing to note is that section 843.02 has no knowledge element stated while section 843.01 does; however, courts have held that there is a knowledge element.See Polite v. State; see also Cooper v. State. You have to know you’re resisting the officer and not just coincidentally walking away in the opposite direction. Generally this crime is committed with the defendant doing some type of actions. However, mere words alone could be grounds for an arrest of this crime. Lying to a police officer when the officer is trying to serve process. See State. v. Legnosky . Acting as a look-out and warning others that the police were coming. See Porter v. State. Giving a fake name during the arrest. See Caines v. State. Running away from an officer after being told to stop. See C.E.L. v. State. Not putting your hands behind your back. (4) At the time, the defendant knew the officer was an officer. One defense is that the person was not willfully resisting but involuntarily moving in reaction to the pain caused by the handcuffing. The police officer misunderstood the movement to be resisting. The officer must be in the lawful execution of a legal duty. Just because the officer has a badge and gun does not mean he has a license to do whatever he wants whenever he wants. If the officer told the person to stop and the officer had no reasonable suspicion or probable cause to stop the person, then the officer was not in the lawful performance of his duty; thus, the defendant could not be resisting. See Harris v. State. Did the defendant know the officer was an officer? Criminals sometimes impersonate police officers so they can commit crimes. Just because a person claims they are an officer does not mean they are one. If the officer was not in uniform, then the defendant could not know that the officer was an officer. See W.E.P. v. State. Florida Statute 901.17 requires an arresting officer to inform the person being arrested for the cause of the arrest. If the police officer does not give reason for the arrest, then this goes to possibly explaining the defendant’s actions of “resisting.” See Albury v. State. Anyone who commits this crime is guilty of committing a first-degree misdemeanor which is punishable up to 365 days in jail and a $1,000 fine. This form of resisting is more serious because of the violence. Sometimes the defendant initiates the violence and sometimes the defendant is responding to police brutality and is charged with this crime. (4) At the time, the defendant knew the victim was an officer. The police officer has to be engaged in the execution of a legal duty. Sometimes police officers work other jobs at nightclubs or sport events. These officers are working a job, but they are not carrying out a legal duty all the time. If the police officer was working the “job” but not executing a legal duty, then the defendant could not have been resisting the police officer.See Nicolosi v. State; see also Bryan v. State. If the police officer is unlawfully entering a home, the defendant could be justified in their resistance. See Taylor v. State. There are other defenses that are available depending on the facts of the case. One of our attorneys can discuss the potential defenses with you at your free consultation. Anyone who commits this crime is guilty of committing a third-degree felony which is punishable up to 5 years in prison and a $5,000 fine. These crimes will be prosecuted by Palm Beach County and Broward County prosecutors. The prosecutors are going to lean on the side of law enforcement and let the defense lawyer sort it out. 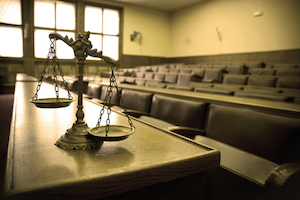 It is important to contact a competent criminal defense attorney. Call us today to schedule a free consultation to discuss the case with us. We want to talk to you about your version of the events. It is important for you tell us everything so we can help you. We will take depositions, if permitted, of the police officers and any witnesses. These depositions and what you tell us at the consultation will be essential to developing a defense strategy. We will try to persuade the prosecutor to drop your case. If the prosecutor is not persuaded, we can argue to the judge that your case should be dismissed. We can even take your case all the way to trial. Call today so we can start working on your case.